High Street woes have hit sales at Costa Coffee as its parent company pushes on with plans to spin off the cafe firm as a separate business. 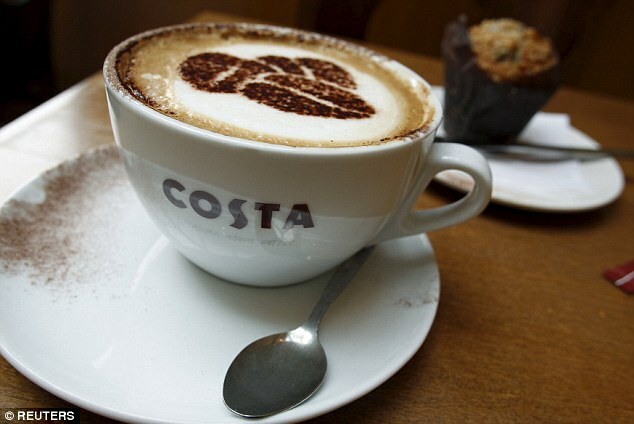 UK sales at Costa slumped 2 per cent in the three months to the end of May as less shoppers visited the High Street. However, its machines at petrol stations and train stations were more successful. Costa’s sister company, Premier Inn, also struggled, dipping 0.9 per cent. The coffee chain’s slump comes after owner Whitbread announced plans to split it from the rest of the group and list it separately. Whitbread’s sales declined 1.3 per cent overall, but were in line with market expectations.